Southern rock juggernauts Widespread Panic brought more than just good luck to the MGM Grand Casino over St. Patrick’s Day weekend. The band came ready to put down three unique and exciting shows at the relatively new casino. These three night runs at the MGM are becoming an annual tradition for WSP, who have never been shy about gracing the greater Washington, D.C. area and delivering exciting shows to their fans. Widespread made their debut at this venue in 2018 the same weekend last year. During that run, they really dug deep into their catalog and pulled out a few tricks, including a stellar rendition of The Beatles’ “Come Together” for the first time in 820 shows (LTP 11/4/05). Fast forward to 2019 and the band took a different approach. Without leaning on shock factor, exotic covers, liberations and more; the band stook to their guns and focused on their heavy hitting originals for the most part. It was a weekend where everyone won, and Widespread Panic proved once again why they’re not a bad to be missed when they come within striking distance. Due to the band scaling back their touring schedule, they seem content in the new format of hitting the festival circuit and playing multi-night runs at famed venues like The Capital Theater in New York, Red Rocks in Colorado, The Riverside Theater in Milwaukee, Mud Island in Memphis and of course The Fox Theater in Atlanta. With the MGM Grand Casino now fully embedded in that rotation, fans rejoiced and let the band take the wheel. On Friday March, 15 WSP came out of the gates swinging with “A of D” which made way to “Tall Boy” and “Bear’s Gone Fishin'” Highlights in the first set included a nice jam after “Great,” Send Your Mind and a set closing “One Arm Steve” led by JoJo Herman. Herman kept the momentum in full swing after set break as the second set opened up with “Big Wooly Mammoth.” While JoJo is originally from New York, he’s spent plenty of time in the deep south, including a stint in Oxford, Mississippi where he played with George McConnell in a local band called Beanland. Other high lists include crowd favorite “All Time Low” and a creative “Driving Song” > “Tickle the Truth” > “Papa’s Home” > “Climb To Safety” > “Driving Song.” The band took “Climb To Safety” for a nice walk and jammed out the song nicely. WSP capped off night one with “Expiration Day” into “Protein Drink” > “Sewing Machine” a tribute to the late Vic Chestnut. Day three kicked off and reminded fans that it’s a marathon and not a sprint. With plenty left on the table, WSP came out swinging and put the stamp on the three-night run with grace. The band open up with the upbeat instrumental number “Disco” which carved out room for “Rock,” “Sleepy Monkey” and their beloved classic “Space Wrangler.” The highlight came with a rare and beautiful cover of “Trouble” originally penned by Cat Stevens. A roaring version of “Pigeons” closed the first set leaving the crowd craving more music. Dave Schools took charge for the second set opener as the opening notes of “Imitation Leather Shoes” came pouring out of the PA. The band rode this wave of momentum and setup a four-song punch of “Goodpeople” > “Bust It Big” > “Blight” > “Tie Your Shoes” before landing into “Jack,” which acted as the perfect landing gear. 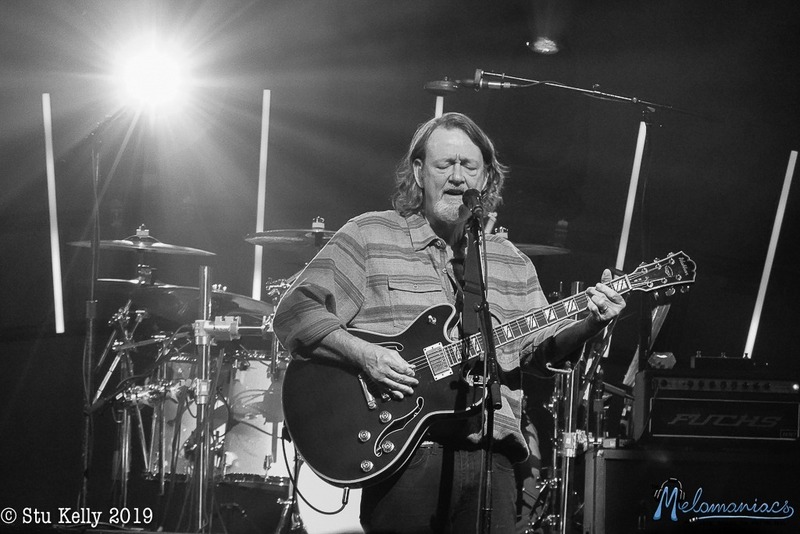 WSP graced the MGM with a two-song encore of “May Your Glass Be Filled” and “Honey Bee” which capped off another incredible three night run in the greater Washington, D.C. area. Currently, Widespread Panic have a sporadic set of dates confirmed for the rest of 2019. Most recently they replaced Fleetwood Mac at Jazz Fest on May 3.